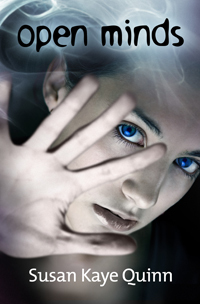 Open Minds had its title before I knew the book was about mindreading – back when it was just a concept about a boy who was a touch empath (the name stayed, but everything else changed). 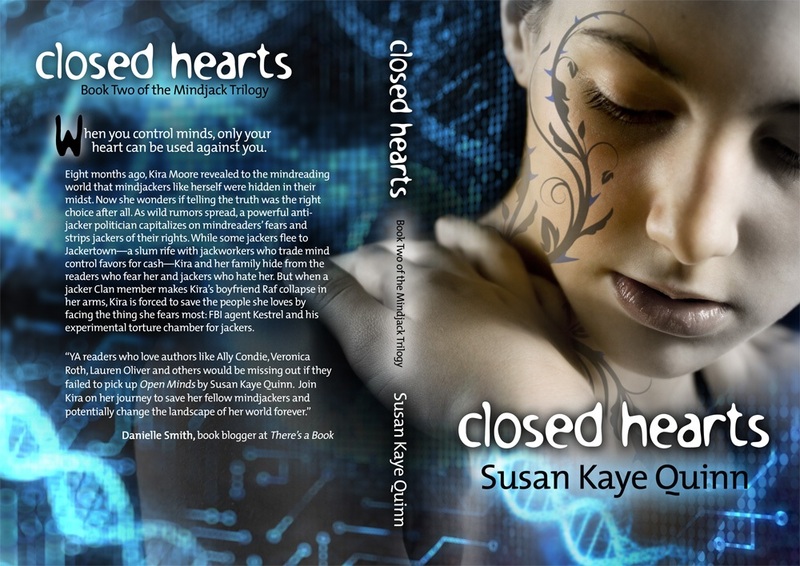 Closed Hearts acquired its title the nanosecond that I decided to write a trilogy. But Mindjack#3? It took me about three nanoseconds to come up with the Working Title, but I wasn’t sure it would fit. Once I outlined the rest of the trilogy, I knew Working Title would work, and I’m actually rather fond of Working Title now. Can you guess my Working Title for Mindjack#3? 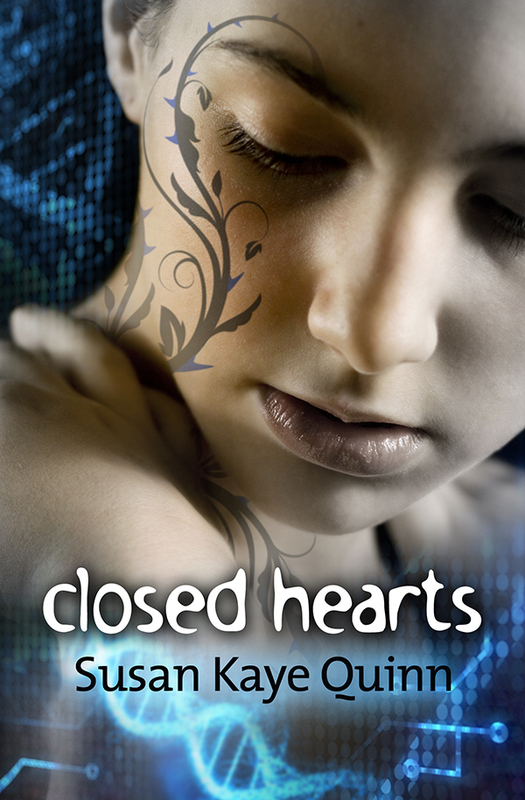 If so, you could win a paperback copy of Closed Hearts! 1) Guess the Working Title of Mindjack#3! 2) Guess and get lucky: I will randomly pick a winner from ALL GUESSES! 3) Enter a title so massively awesome that I like it BETTER than Working Title and decide to use your title instead (Mighty Mite’s guess: Chopped Liver. I probably won’t use it, but he gets high points for style.) If your title is awesome, but won’t work for the story, you may win anyway. That’s just how I roll. 1) DO NOT PUT YOUR GUESS IN THE COMMENTS! All guesses must be entered into the Rafflecopter Form (I don’t want ya’ll to peek at each other’s guesses). 2) There are no other rules. Please FB or Tweet the contest, so we can get lots of good guesses. You can enter more than one guess, but don’t spam the guesses (let’s say a maximum of 10 guesses per person). Ready … Set … Be Creative! Love this idea, Sue! I am in and will submit my first idea straight away! Empty stomachs? You can see where my mind is today! I was up at 3am so I feel like it's lunch time already! I'll share this on Facebook when I get home. Can't do it through work. How fun! Putting my thinking cap on! Yay! My writer friends are so creative! I already guessed at your next title a couple weeks ago, mulling over the pattern and trying to come up with something good. How cool to have a contest about it! As much as I would like to do that, I'm still drafting Mindjack#3 and I'm not sure how to blurb without being spoilery (or having it change!). Sorry! Hey Nickie! Nice to see you here! Thanks for stopping by. 🙂 My TBR is huge, too! Okay, I entered a title! My brain had a fart as I tried to come up with something. I just hope what I entered even makes sense lol!!! Me too, generally. Either they come in a burst of lightning or I'm doomed. Go for a zany one! That way at least you're in the running for the random one!! Cool contest, Sue! I tweeted/fbed it. Fun, fun, fun! I visited your blog yesterday, but I ended up on a different post about cliches. My mind isn't cooperating today. I need to give the title some thought. I mentioned you on my blog today! I'll be back to add my guess for the contest! Very cool! I thought I saw 'mind games' somewhere around one of your sites but it might have been for something else!